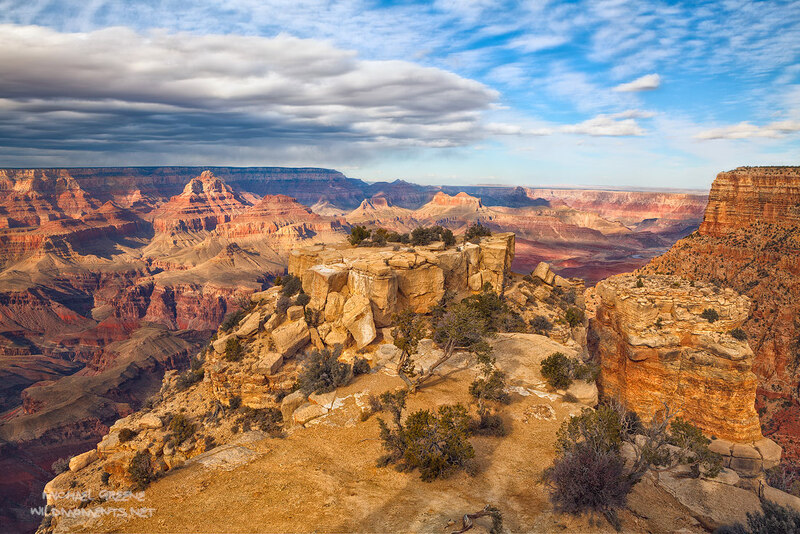 An incoming storm creates beautiful dappled light at the South Rim of the Grand Canyon in late autumn. This was captured at Mohave Point. Photo © copyright by Michael Greene.